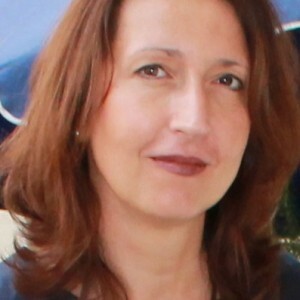 Raffaella A. Del Sarto, Ph.D. Focusing on the EU's relations with its periphery, this paper takes issue both with persistent ‘normative’ conceptions of the EU's international role in the European Studies literature and with the constructivist–rationalist divide in IR theory. The conceptualization of the EU – a vast, composite and ever‐expanding entity with ‘fuzzy’ borders – as an empire of sorts bridges the theoretical divide and offers a powerful explanation of the EU's behaviour vis‐à‐vis its vicinity. Through the transfer of rules and practices beyond its borders, the EU is indeed engaged in ‘normative’ policies, which however primarily serve the security and economic interests of the EU and its Member States. Thus, the EU's (allegedly) norm‐based behaviour is in itself a utility‐maximizing strategy, which also serves the construction of a normative identity. The EU's response to the Arab uprisings serves to illustrate the argument, with the concept of ‘empire’ resolving the puzzle of seemingly inconsistent EU policies. This article investigates the rules and practices pertaining to visa regimes and the crossing of borders across the European Union, Israel and the Palestinian territories. Their consideration as three interlinked entities rests on the high degree of EU–Israeli interdependence, the EU's deep involvement in the Palestinian territories and Israel's control over the latter. The article evidences the existence of variegated borders regimes applying to different categories of Israelis, Palestinians and EU citizens, together with Israel's outstanding prerogatives in defining these practices. The analysis suggests conceptualizing the space comprising the EU and Israel/Palestine as overlapping borderlands, with Israel and the territories emerging as a single, yet highly fragmented, space in which borders are alternative expressions of power relations in protracted conflicts. With the EU being drawn into prevailing conflict dynamics, the type and extent of EU–Israeli–Palestinian interconnectedness thus undermine the coherent implementation of Brussels’ mainly bilateral policies towards Israel and the territories. With the adoption of the European neighbourhood policy (ENP) in 2003, the European Union (EU) for the first time introduced benchmarking procedures in the realm of democracy promotion, while also establishing the principles of ‘positive conditionality’ and differentiation. In order to exploit its full potential, however, this strategy must be able to define how political development can effectively be measured and monitored, along with the benchmarks chosen for this purpose. Applying insights of democratic and transition theories to the Action Plans concluded with Jordan and Tunisia, the contribution shows that the ENP suffers from the absence of analytical depth as far as concepts and processes of democratization are concerned, along with an arbitrary and largely useless selection of pseudo-benchmarks. While undermining the effectiveness of the leverage model of democratization policies, the EU's lack of clarity and determination seriously contradicts the declared objectives of its democracy promotion policy. The article investigates the envisaged bilateral relations between the European Union (EU) and Israel according to the EU-Israel Action Plan of December 2004. Negotiated in the framework of the European Neighbourhood Policy (ENP), the document is notably vague on the envisaged political cooperation, thus reflecting the need to reconcile divergent positions on the desirable type of relations in general, and the EU's role in Middle East peace making in particular. Moreover, the expectations raised by the initial ‘wider Europe’ initiative on the Israeli side, along with EU-internal divergences on the ‘right’ approach toward Israel and the Palestine conflict, affected the negotiations on the Action Plan. However, while the bilateral Action Plan must be seen in the context of the EU's increased assertiveness on the international stage, implementing the ambiguous Action Plan is likely to be more difficult than agreeing on it. The future of EU-Israeli relations and the influence of the ENP with regard to Israel will depend on a number of developments, most notably the future of Middle East peace making, along with a change of attitudes of each side vis-à-vis the respective other. Since 9/11, inter-cultural dialogue, in the Euro-Mediterranean area and beyond, has unintentionally reproduced the ‘clash of civilizations’ thesis. A rethink of the concepts of ‘cultures’, communities and their representatives points to the agenda-setting function of inter-cultural dialogue, which also legitimises specific interpretations of regional and international politics. In spite of some positive developments within the EMP's inter-cultural dialogue, this article recommends a departure from the rhetoric of ‘inter-cultural dialogue’ altogether. Instead, a clear distinction between cultural co-operation and the promotion of sustainable development and human rights is necessary, along with the establishment of a trans-cultural dialogue that defines similarities and differences across states and regions along thematic lines. Raffaella A. Del Sarto examines the creation of Israel's neo-revisionist consensus about security threats and regional order, which took hold of Israeli politics and society after 2000 and persists today. The failed Oslo peace process and the trauma of the Second Palestinian Intifada triggered this shift to the right; conflicts with Hamas and Hezbollah and the inflammatory rhetoric of Iranian President Ahmadinejad additionally contributed to the creation of a general sense of being under siege. While Israel faces real security threats, Israeli governments have engaged in the politics of insecurity, promoting and amplifying a sense of besiegement. Lively political debate has been replaced by a general acceptance of the no-compromise approach to security and the Palestinians. The neo-revisionist right, represented by Benjamin Netanyahu and the Likud, has turned Israel away from the peace process and pushes maximalist territorial ambitions. But they have failed to offer a vision for an end to conflict, and there has been little debate about whether or not the hardline policies toward the region are counterproductive. The book explains this disappearance of dissent and examines the costs of Israel's policies. It concludes that Israel's feeling of being under siege has become entrenched, a two-state solution with the Palestinians is highly unlikely for the foreseeable future, and Israel's international isolation is likely to increase. The book argues that internal disputes over national identity limit the ability of states to participate in regional forums. This is a close look at problems faced in negotiating the Euro-Mediterranean Partnership (EMP) as a regional security project, with particular attention to case studies of Israel, Egypt and Morocco. Recent efforts by the United States and its allies to promote democracy, security, and stability in the Middle East owe much to the Euro-Mediterranean Partnership (EMP) - also known as the Barcelona Process - an important region-building plan in the Mediterranean region since 1995. The Convergence of Civilizations represents the output of an innovative and much needed collaborative project focused on the EMP. Editors Emanuel Adler, Beverly Crawford, Federica Bicchi, and Rafaella A. Del Sarto have set out to show that regional security and stability may be achieved through a cultural approach based on the concept of regional identity construction, and aim to take stock of the EMP in relation to this goal.The contributors to this collection focus on the obstacles Mediterranean region construction faces due to post 9/11 regional and global events, the difficulties of the Israeli-Palestinian peace process, tensions between the EU and the US over Iraq, and the expected consequences of EU enlargement. They also seek to bring the EMP and region-making practices to the attention of American scholars in order to promote a more fertile academic exchange.Ultimately, the contributors demonstrate that the EMP and related region-making practices, while failing so far to promote the development of a Mediterranean regional identity and to achieve regional stability, suggest nonetheless a viable model for regional partnership and cooperation, and thus, for preventing a 'clash of civilizations' in the long haul. The Convergence of Civilizations will be an important tool for meeting the current global challenges being faced by nation-states as well as those in the future. In Colin Shindler (ed.) Israel and the Great Powers: Diplomatic Alliances and International Relations beyond the Middle East, London: I.B. Tauris, pp. 155-186. In: Dimitar Bechev and Kalypso Nicolaidis (eds. ), Mediterranean Frontiers: Borders, Conflicts and Memory in a Transnational World, London: I.B. Tauris, pp. 149-167. Identity politics are not a new phenomenon in the Middle East, The current era is characterized by a distinctive level and intensity of identity politics, however, which must be seen as an integral part of the emergent structure of regional politics. This essay advances three main claims:. first, the rise of ethno-religious politics cannot be explained in terms of the specificities of Arab politics because the trend is not limited to Muslim majority countries. Israel offers a prominent but generally overlooked example. Second, the sharpening of ethno-religious difference is the result of strategic action under specific enabling conditions. The sense of insecurity and fear in periods of transition is a crucial enabling condition. Ironically, however, a heightened sense of insecurity not only acts as an enabling condition but is also the outcome of the politics of fear adopted by political leaders in the region. Third, the rise of identity politics is a trend on a broader scale, as seen in the United States and Europe. The memo concludes by reflecting on the role of local actors and developments as well as on the implications of the growing power of ethno-religious politics in the Middle East—and beyond. MENARA Report no. 1, February, with Helle Malmvig and Eduard Soler i Lecha.